Tetris is the brainchild of Alexey Pajitnov, a nice man from Russia. Since it's debut it has been ported to every single video game contraption ever released. There is a reason for this and it's because Tetris is a very simple but challenging game and is loads of fun. 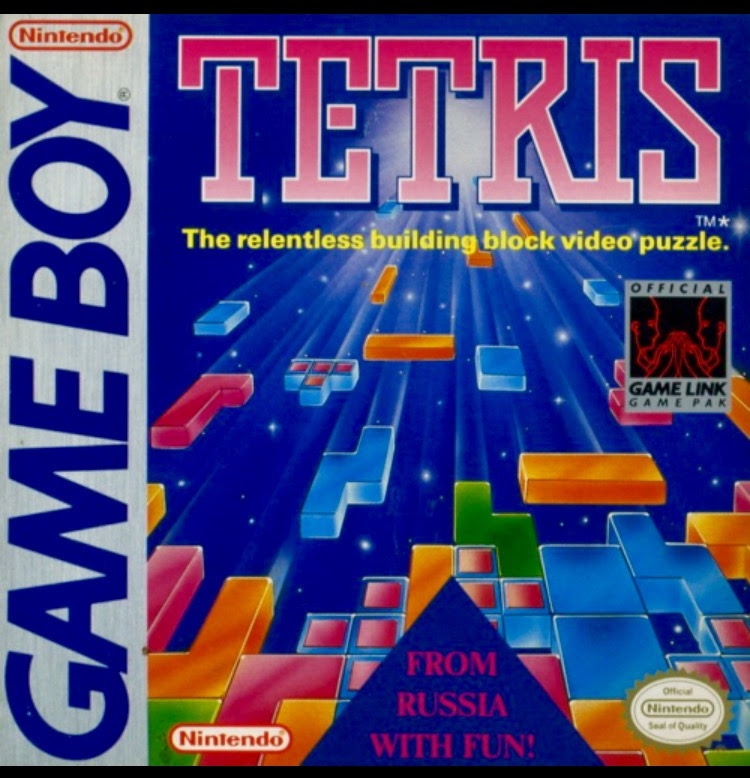 Tetris was not only a launch game for the GameBoy but was also the pack-in game for it. Because of this Tetris has been called, "The game that sold millions of Gameboys." The author of that quote is was me but all jesting aside the game was instrumental in the Gameboy's history. Tetris is a simple game, make complete horizontal lines with blocks, called "Tetrominoes?? ", that fall from the top of the screen. When the pieces start to fall you can move them left and right on the screen and flip the pieces 90 degrees with each button tap. As you complete rows you'll level up which increases the time it takes the Tetrominoes fall. The higher the level the faster the pieces fall. The object of the game is to earn as many points as you can before the pieces fill the screen which blocks new pieces from falling. Tetris allows you to skip ahead to a higher level which is nice for when you want a challenge. The game also comes with two modes to play, A and B. Mode A is what I've described already. Mode B starts the game off with pieces all over the screen. Easier levels have a few at the bottom and the higher levels have the start of the pieces near the top. Your goal is to clear the screen. You could play Tetris against a friend as long as you had two GameBoys, two copies of Tetris, and a "Game Link Cable". The player who won was the player that lasted longer than their opponent. I never knew anyone with this cable so I don't know much about it. The music in this version of the game is wonderful. That main theme, if you played this version or the NES version will know what I'm talking about, was just the perfect song that made you feel like you were playing a game that was just covertly smuggled out past the Iron Curtain. While the controls, graphics, audio are definitely outdated the game itself is perfectly playable. I would have no problem playing this game on my phone today. I rate Tetris on the Gameboy a 10 out of 10! Goodwill Gold Episode 4 Sidewinder! Goodwill Gold Episode 3 Action Max!